It is always interesting to me to receive books in the mail. The thrill of something new to read sends little tingles down my spine as I eagerly rip open the packaging. And speaking of packaging, that brings me to today's topic: Package With Care. I have received books with many forms of outer wrapping. I have received books in boxes, I have received books in bubble mailers, and I have received many books in plain Manila envelopes. It is the latter form of mailing material that causes me concern. Postal workers, as dedicated as they are, can not control the rigorous journey a book takes as it makes it's way from author to recipient. As a book journeys through a maze of automated shoots and conveyor belts and dumps none too gently into a large bin, it can take a pretty good beating. I have ended up opening my mail box to find books that have arrived in extremely mutilated, ripped, gouged, and generally dilapidated Manila envelopes. It is my experience that as an author you have spent time, effort, and energy painstakingly writing, proofing, and re-writing your manuscript only to spend more time then you probably care to remember trying to find someone interested in publishing said manuscript. Those of you fortunate enough to find that special party must then go through the whole process of getting your manuscript ready to become a book. Once in book form and lovingly held in your adoring hands, you probably shed a small tear of joy for the work you have produced. So why then, in the name of all that is good, do you mail out your magnificent creation in paper barely thick enough to line the bottom of your neighbor's bird cage where he keeps his parakeet named Sparky. I understand that as an author you probably have a a very tight and most likely minuscule budget for marketing, but please take a little pride in your work. Bubble mailers can be purchased in small bulk quantities at almost any major store for under five dollars a pack. You have already come so far as an author, don't spoil your reputation with shoddy packaging. Although my daughter is past reading books in the three to eight age bracket, many of you still have children or grandchildren in this range. So with that in mind, here are four books worth considering. My first book recommendation, The Miracle of Rain by Sherry Rossman, is a wonderful story for small children who might be afraid of rain storms. 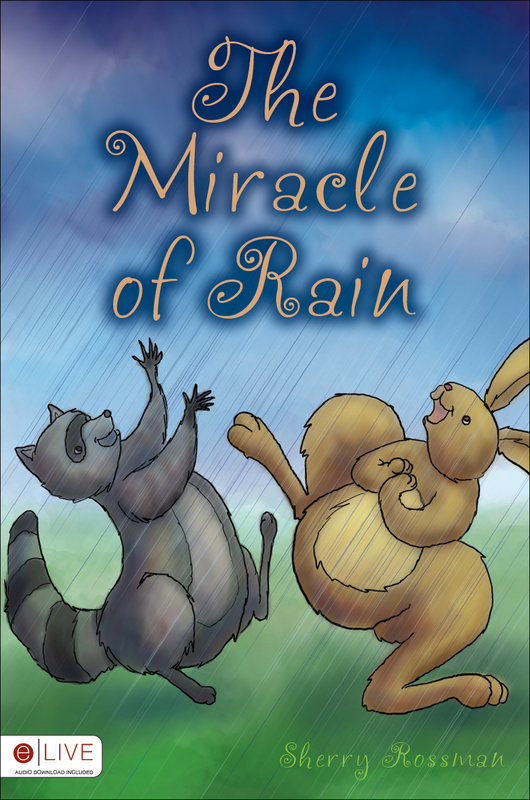 In The Miracle of Rain you and your special moppet can follow the adventures of Nora and her cat Molly as their friend Smickett the raccoon shows them that God has a purpose for even the loudest and scariest of rain storms. See how Nora is transformed from a fearful young girl into a fantastically happy one who dances to the rhythm of the rain with all the other special forest creatures. My next recommendation is Ode to Icky by Maranda Russel. 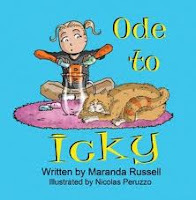 Ode to Icky is a well written, funny story of a girl and her very, very, very stinky cat; and it is chock full of amazing illustrations that bring the story to life right before your very eyes. I read with interest, wondering what the outcome of Candy's perfume experiment would be. The only flaw I found with this book was that the ending left me wanting more. I was left wondering what Candy felt and learned from the whole stinky perfume incident. All things considered, a great book for young ones seeking a good reading adventure. 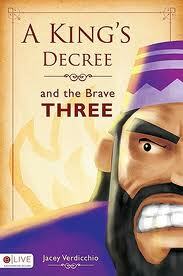 My third recommendation for today is A King's Decree and the Brave Three by Jacey Verdicchio. Jacey Verdicchio has taken the story of Shadrach, Meshach, and Abednego and has simplified it for the very young. Beautifully illustrated and Biblically accurate, A Kings Decree and the Brave Three is an excellent book that also comes with a free audio book download which allows the readers to listen to this lovely rhyming story as they silently read along. And last but certainly not least, I recommend a book by Ohio Author Melissa Ivey Staehli titled I Love You to the Moon. 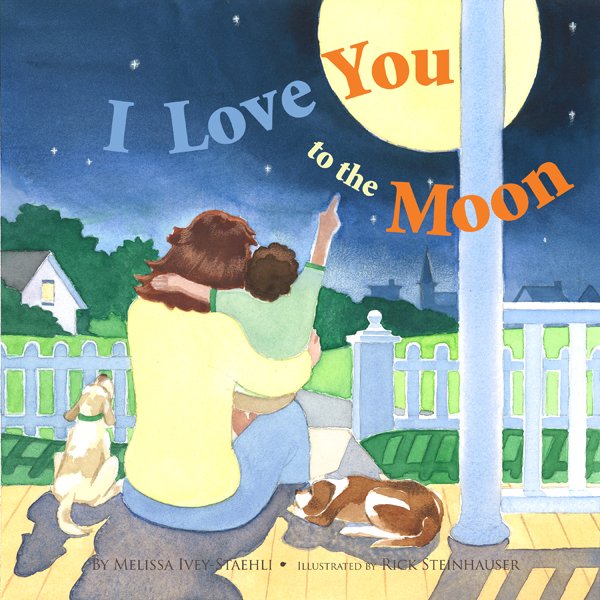 I Love You to the Moon is a beautiful story of a parent's love for their child. The watercolor style illustrations lend an added warmth to the catchy rhymes, and the extra large print and simple sentences are perfect for beginning readers. The size of the print made me want to point to each word as I read, which strikes me as something a child would find useful when learning to read.